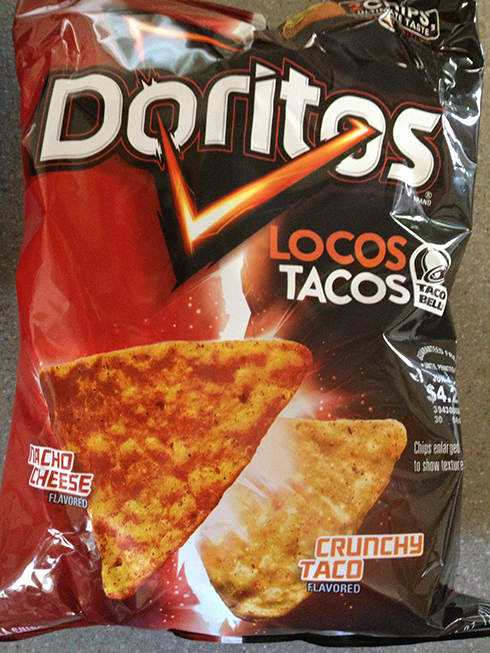 So what better way to follow up an actual Locos Taco with a Doritos branded chip of the same flavors. My recent review of the actual tacos got me excited to try the actual chips. There are two separate bags. One is Nacho Cheese based, the other is Cool Ranch based. The bags are easy to tell apart and are color-matched to their respective original flavor. There are two different kinds of chips in each bag. One is the original flavor, so for the Nacho Cheese bag, there are actual Nacho Cheese Doritos in the bag. 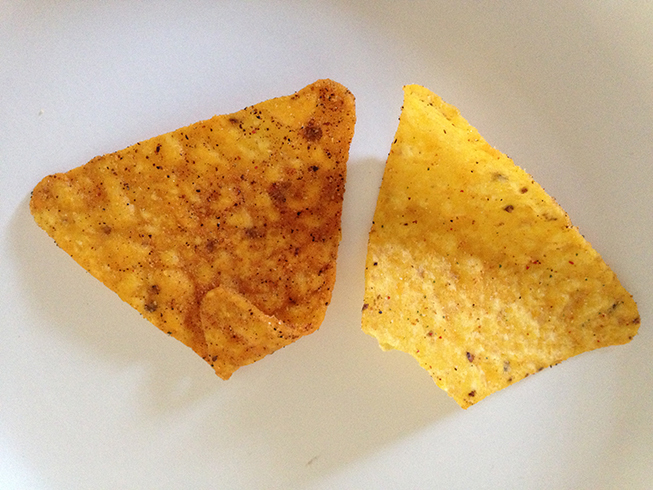 The other type of chip contains a mixture of seasonings that taste like a taco. Meaning the taco meat, sour cream, salsa, tomato and lettuce. Yes, each of these seasonings combined does a decent job of replicating the taste of a taco. I was quite surprised at how well it reminded me of eating a taco. The first few bites of each chip was pretty good. I alternated between the Nacho Cheese and taco-seasoned chip to get the full effect. 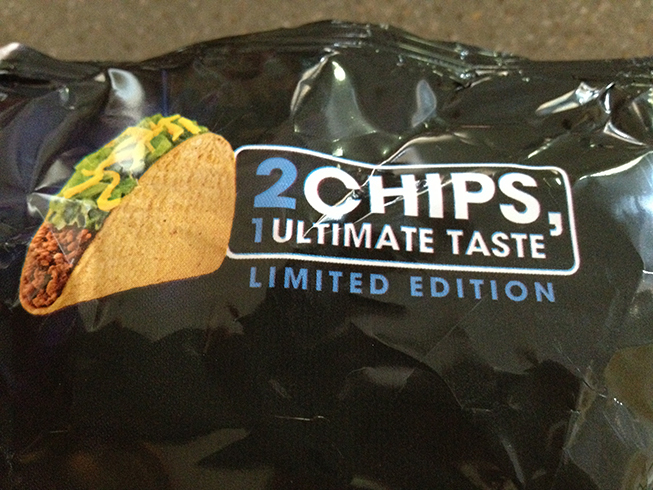 While I prefer the real ingredients, this chip-based delivery of taco flavor made for a tasty experience. The Cool Ranch mixture was less effective when I did the alternating chip consumption. 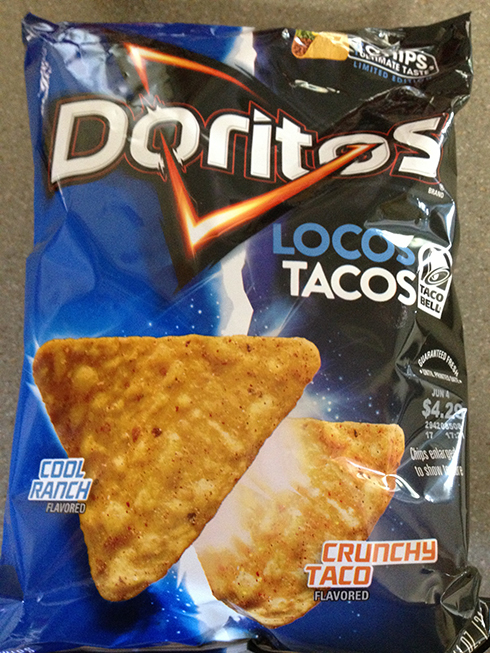 I do like Cool Ranch on their own, but mixed with the taco flavored chips, it seemed to not be so good. Not bad or horrible, but the taste was very much toned down. It could very well be that the Nacho Cheese flavor has more of a taste grab than the Cool Ranch, at least when it comes to migrating the taco taste placed on a chip. These chips are in limited supply, so if you want to try them for yourself, go grab a couple of the bags and taste the experience. If you’ve already tried these, how did you like them? Leave a comment below and let me know. My problem is that I just want the Taco chips. And either they aren’t selling them solo anymore or they just aren’t available in my area. 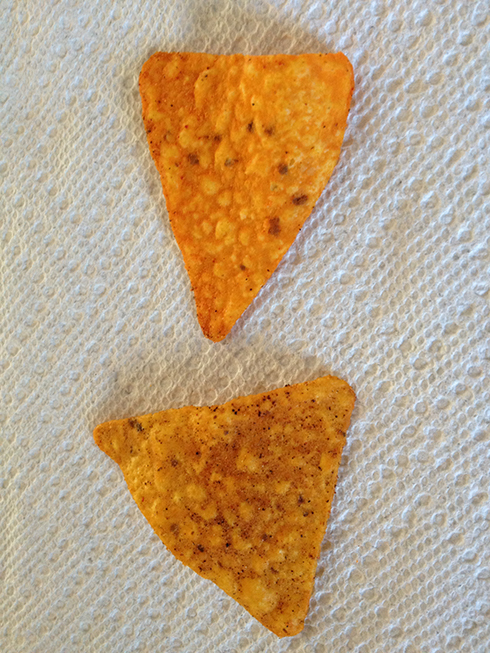 Taco Doritos were one of the original flavors. It’s just silly that they aren’t available all the time. If they did show up there, that would be cool. I think you might like this flavor mix.